An Auburn man was charged with violating an order of protection late Saturday night after getting into an altercation with his ex-girlfriend's boyfriend. 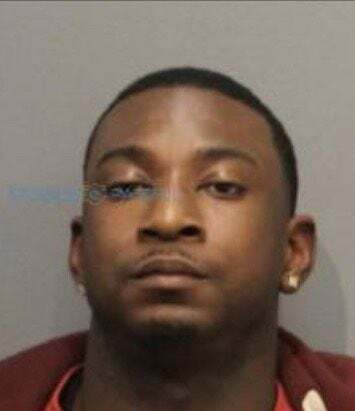 Saturday night, Reaquiel D. Overstreet, 23, of 8 Pulaski St., violated an order of protection in place for his ex-girlfriend when he trapped her in the parking lot at the Speedway convenience store at the corner of State and Seymour streets, the Auburn Police Department reported Monday. The 20-year-old woman was trying to pull out of a parking spot at the gas station when Overstreet pulled his car behind her and blocked her, police said. He allegedly walked to her car and tried to open the doors, but they were locked. Overstreet then tried another door and gained access because he knew the vehicle's passcode, police said. Overstreet then allegedly got into an altercation with the woman's boyfriend, who was a passenger in her vehicle. The woman called 911, the police said. Police said this incident was part of what was previously reported as a stabbing, but the investigation is hindered because people are not cooperating. Overstreet was charged with first-degree criminal contempt, a class E felony. He was arraigned in Auburn City Court and remanded to Cayuga County Jail in lieu of $5,000 cash, $10,000 bond. He is due back in court Feb. 7.